JUNEAU — A report from NBC News said Tuesday that Alaska is one of seven states where federal intelligence suggests that either state websites or voter registration systems were "compromised" by Russian efforts before the 2016 election. But Alaska's top elections official, Josie Bahnke, would not corroborate the report. She said efforts by Russian "cyber actors" never went beyond a scan of the state elections division's public website, according to information her office received from the U.S. Department of Homeland Security. "There was no breach, essentially," she said in an interview. "They wiggled on the door and moved on." She added: "I guess it's all interpretation of what the word 'compromise' means." Federal officials said late Tuesday that NBC's report was "factually inaccurate and misleading." "We have no intelligence – new or old – that corroborates NBC's reporting that state systems in seven states were compromised by Russian government actors," said Tyler Houston, a DHS spokesman. "Once again, reports using anonymous, outdated and incomplete information are being misconstrued as fact." The NBC report, attributed to three unnamed "senior intelligence officials," had called into question what Bahnke said in September: that Russian "cyber actors" made a failed effort to access Alaska's voter registration database in 2016. She said at the time that the state's election systems were not "compromised." NBC's report does not specify what kind of breach occurred in Alaska. Nor does it say whether the "compromised" system in the state connected directly to voting or was an unrelated website. The report, citing intelligence documents, defined "compromised" as "actual 'entry' into election websites, voter registration systems and voter look-up systems." But it quoted state and federal officials as saying that no votes were changed nor were any voters removed from election rolls. Bahnke said she attended a secure briefing with the FBI and DHS along with other state elections officials last week, which required her to get a temporary security clearance. She said no information was shared at the meeting to contradict the state's September announcement that its website had been scanned but not compromised. Bahnke said her understanding is that Alaska's website was scanned by a computer associated with a specific internet address that was also linked to 20 other states targeted by the Russian cyber-actors. Only one state, Illinois, has acknowledged it was compromised, telling DHS that "its voter rolls had been accessed but nothing had been altered," according to NBC's report. "The department has been clear and consistent that we are aware of 21 states targeted by Russian government cyber actors leading up to the 2016 election," said Houlton, the DHS press secretary. "In nearly all states, only preparatory activity like scanning was observed." One state lawmaker, Anchorage Democratic Sen. Bill Wielechowski, responded to NBC's report by calling on the Republican-led Senate majority to hold hearings on what he called "Russian hacks into Alaska's election system." 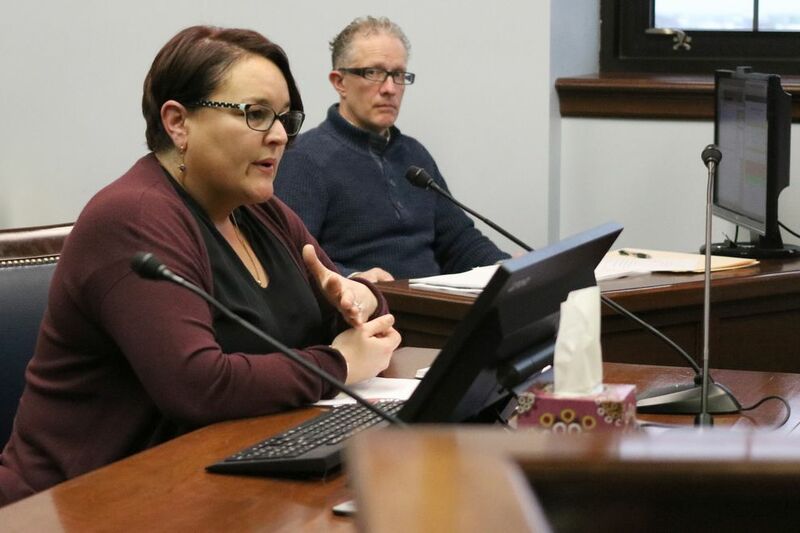 "Alaskans have a right to know exactly what occurred, if there were illegal entrances into our system during the election process and to what extent it may have tainted Alaska's election or Alaskans' data," Wielechowski said. Asked how worried Alaskans should be about the security of the state's elections, Bahnke responded that "the threat is real," citing the U.S. Justice Department's recent charges that 13 Russians had tried to interfere with the 2016 election. "But the state is taking every possible action necessary," Bahnke added. She said her office is following federal recommendations and relying on intelligence officials to provide the state with up-to-date information. Bahnke herself is in the process of getting a top security clearance to allow her to get more of that information. She said she was fingerprinted Tuesday.